The brand spankin' new red, white and blue collection from Bella Blvd? All week long you'll find loads of cool stuff over at the blog! that I plan on attaching to a grapevine wreath to hang on one of our doors. 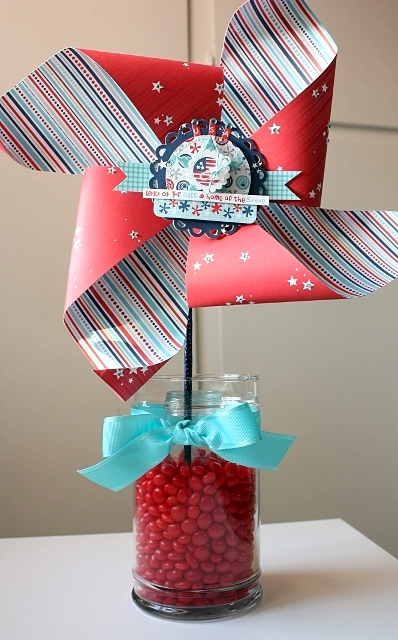 I used a 12x12 sheet of All American patterned paper for this singular pinwheel. For the stick, I wrapped Designer Tape around a wooden dowel and then attached to the back with a high-tack glue. I kept the design pretty simple by layering the center with a die-cuts, stickers and gems! 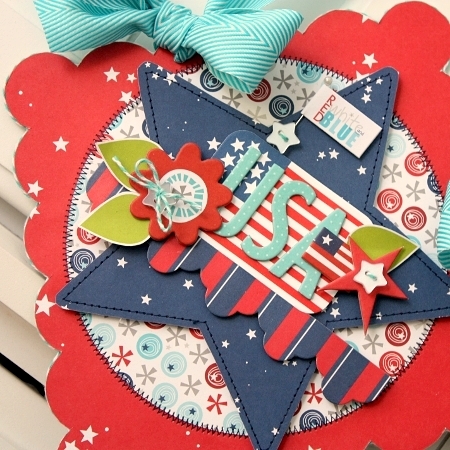 I took a scalloped chipboard shape and dressed it with All American papers. 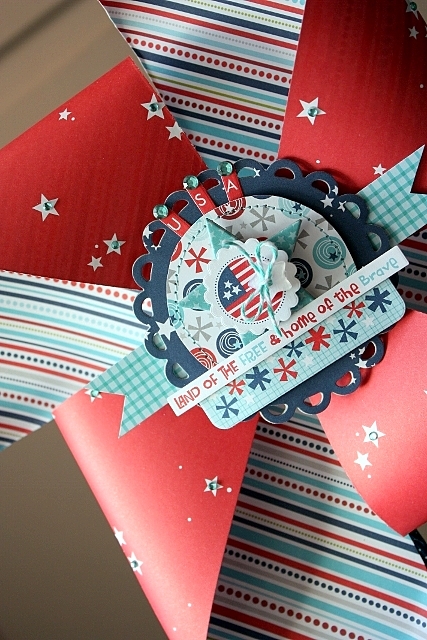 To the center, I cut and traced a chipboard star and then layered it with chipboard letters and cut-out pieces. 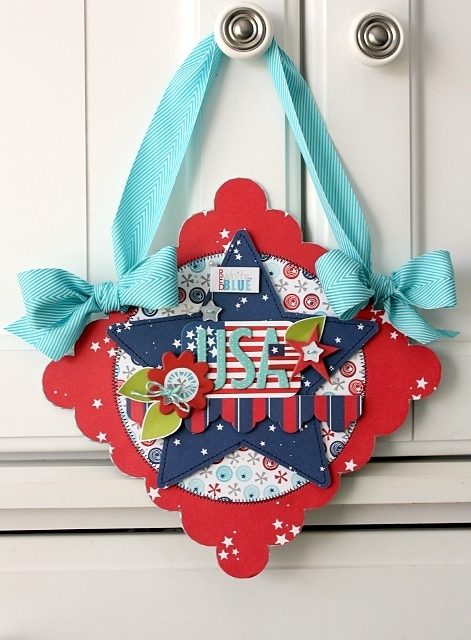 Hanging pieces like this can also be added to a wall or hang from the knob of a cupboard!